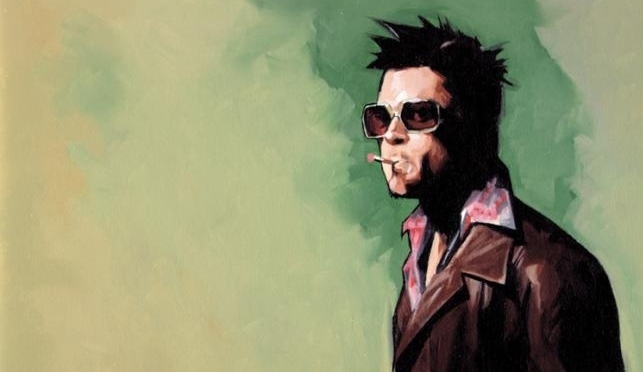 As far as I’ve seen, Tyler Durden is one of the most argued-over character. His views, his dialogue, his appearance and the fact that he’s an entirely different personality in the body of an ISFJ make him difficult to type. As soon as somebody nails him as this, somebody else comes up with that. So what is he? Of the three types most tossed around, we can throw out ENTJ. Durden isn’t looking for power and control as much as he is orchestrating the destruction and collapse of a world run by marketing campaigns and the death of man’s identity. So ESTP and ENTP are the most frequently played with. ESTPs love the action and will jump into activities which interest them but can jump out just as swiftly when they lose interest. The ESTP does not enjoy the constraints of schedules. Pragmatic and tough-minded they act on the facts rather than emotion, using their huge store of facts and knowledge to fix the immediate problem then move quickly and decisively onto the next one. For my money, those to descriptions are strangely similar. Nothing in those that explore the “wacky imagination” of the ENTP normally described in generalized descriptions nor the car salesmen-like persona of the ESTP. Based on this, Durden could still be either. Now we’ll look for the differences. Extraverted Sensing is operating when we freely follow exciting physical impulses or instincts as they come up and enjoy the thrill of action in the present moment. A oneness with the physical world and a total absorption may exist as we move, touch, and sense what is around us. The process involves instantly reading cues to see how far we can go in a situation and still get the impact we want or respond to the situation with presence. I’m not into guys but if I were…I think I’d be all over Matt Damon. MM. 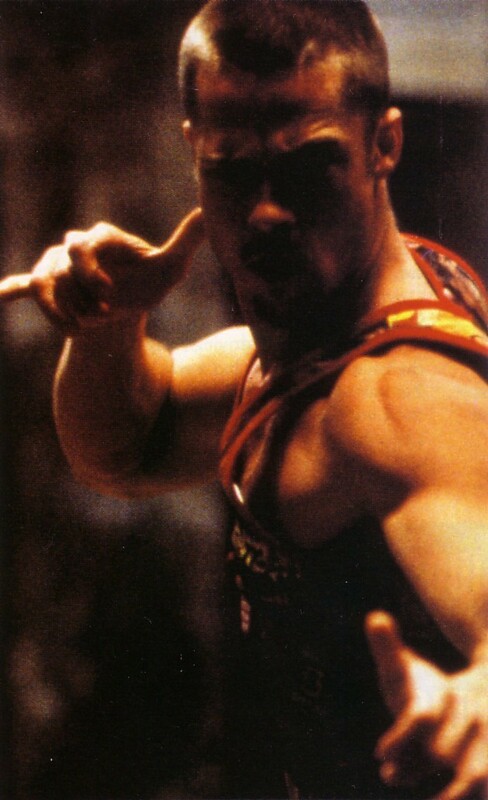 Which is one reason he looks like this by the end. His jerkness has reached god-like levels. Something ENTPs don’t put much importance on is their dress. Now, presentation of character is one thing but a standout outfit every day, each one drawing more attention than the last? Not ENTP’s style. Heck, even The Joker (ENTP) wore the same exact thing throughout The Dark Knight. He bought a new suit and stuck with it. Durden wears something unique every time we see him. Before we move on to the possibility of Tyler being an ENTP, one last thing on the ESTP’s functions. As mentioned, the ESTP and ENTP auxiliary and tertiary functions are the same while their lead and inferior are not. What is the ESTP’s inferior function? Introverted Intuition. Ni is seeing a plan in something. Taking one thing and getting many things out of it. 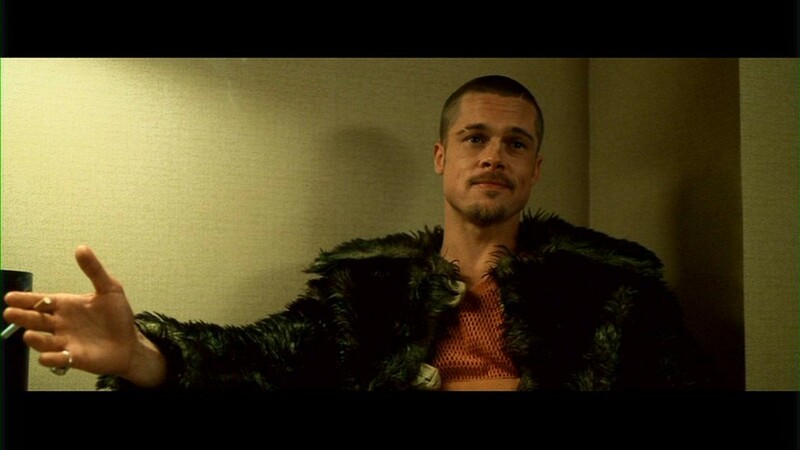 Tyler would use this along with his Extraverted Sensing to not only have a good time and get an immediate rush with fight club/vandalism, but with the idea of eventually “resetting the system” at the climax of Project Mayhem. But was the purpose of “Tyler” setting the narrator’s apartment on fire meant to start everything his life became, working toward the bigger goal? Or was it meant as an immediate escape with multiple outcomes that eventually became Project Mayhem? Figuring this out will give us our answer to Tyler’s type. But even with all this, there’s still evidence to say ENTP- here’s the conclusion. 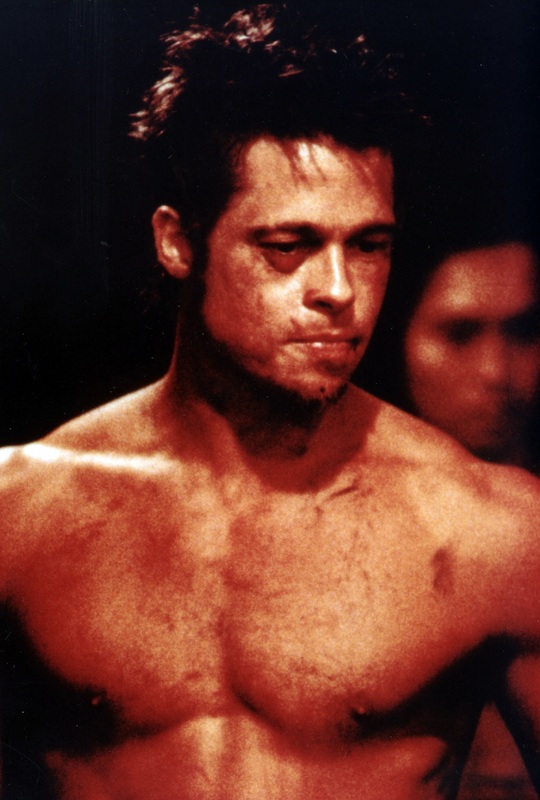 This entry was posted on 08/13/2013 at 12:57 am and is filed under MBTI Artisans, MBTI Rationals, MBTI Stuff, MBTI Whatever with tags entp, ESTP, fight club, mbti in fiction, tyler durden. You can follow any responses to this entry through the RSS 2.0 feed. You can leave a response, or trackback from your own site.